Home » Online Exhibits » Penn People » Penn People A-Z » Samuel McCall, Jr.
Philadelphia native Samuel McCall was one of nine children born to George McCall and his wife Ann, the daughter of Judge Jasper Yeates. The marriages of these children resulted in a family network of wealth and political power. Samuel McCall’s sisters’ marriages included those of Catherine to John Inglis (died in 1775), Mary to William Plumsted (mayor of Philadelphia), Margaret to Philadelphia magistrate Joseph Swift, and Eleanor to Andrew Elliot (lieutenant-governor of New York during its British occupation). His brother Archibald married Judith, the daughter of Peter Kemble (president of New Jersey’s Council). In 1743 Samuel McCall married Anne Searle, the daughter of Captain John Searle and probably the niece of James Searle. After her death, he married Mary Cox in 1759. All of his eight children were from his first marriage. Samuel McCall and his brother Archibald formed a business partnership that included the mercantile trade as well as the operation of a forge, grist mill, and saw mill on McCall’s manor. Socially, McCall was involved in Philadelphia’s First Dancing Assembly and the St. Andrew’s Society. He was also active in organizing St. Peter’s, the second Episcopal church in Philadelphia. In 1747 Samuel McCall became a member of Philadelphia’s Common Council; nine years later he was appointed by Governor Morris to a commission to settle the accounts of General Braddock. McCall was a founder of the Academy and College of Philadelphia (now the University of Pennsylvania), and served as a trustee until his death in 1762. 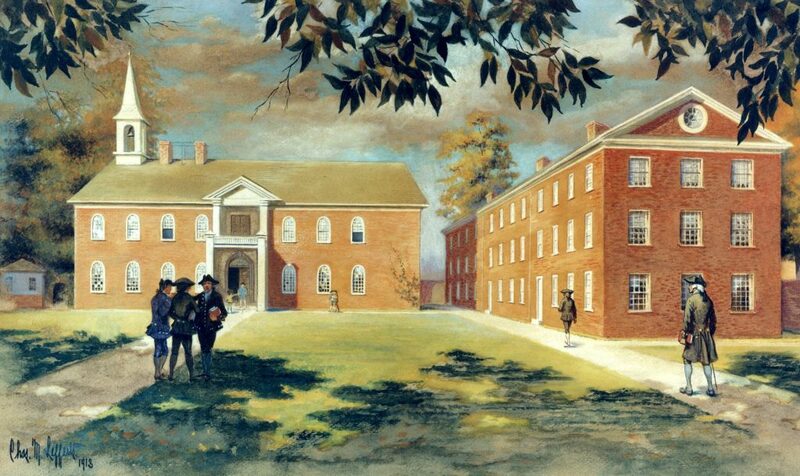 One of his sons, John Searle McCall, began attending the Academy of Philadelphia in 1754 and graduated from the College in 1761.